Mahmud Husain Laskar graduated with a B.F.A in Painting from Kala Bhavan, Visva Bharati, Santiniketan, in 2002 and M.F.A in Painting from College of Art, New Delhi, 2002-2004. He has been exhibited widely in over 30 solo and group shows across the world and has participated in several art camps over the years. He was awarded the 48th National Academy Award, Lalit Kala Akademi, New Delhi, in 2005; Scholarship to Young Artist, Department of Culture, Govt. of India, in 2003; the Camlin Award in professional category by Camlin Art foundation (3rd Northern region) in 2003 and the Ravi Jain Memorial Fellowship, Dhoomimal Gallery, New Delhi in 2002. 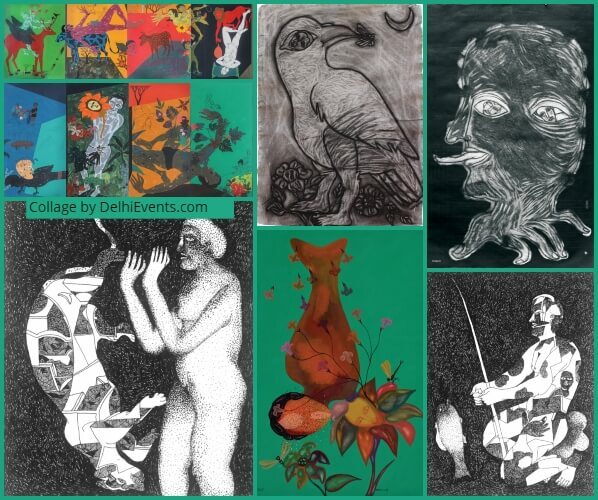 His artworks are placed in the collection of Muller and Plate Gallery, Munich; Gibsone Jessop Gallery, Toronto; Colors Palette Gallery, Singapore; Ruia Group Dunlop, India; Tasveer Foundation, Bangalore; Lalit Kala Akademi, New Delhi; Seagull Foundation for the Arts, Kolkata, and many other private collections in India, Japan, Germany, Canada, UK and USA. Mahmud lives and works in Greater Noida.